The jhumkis are fantastically adorned with scintillate Kundan beads of various colours and shapes and conjointly feature a string of very little red rounded beads hanging at the top. 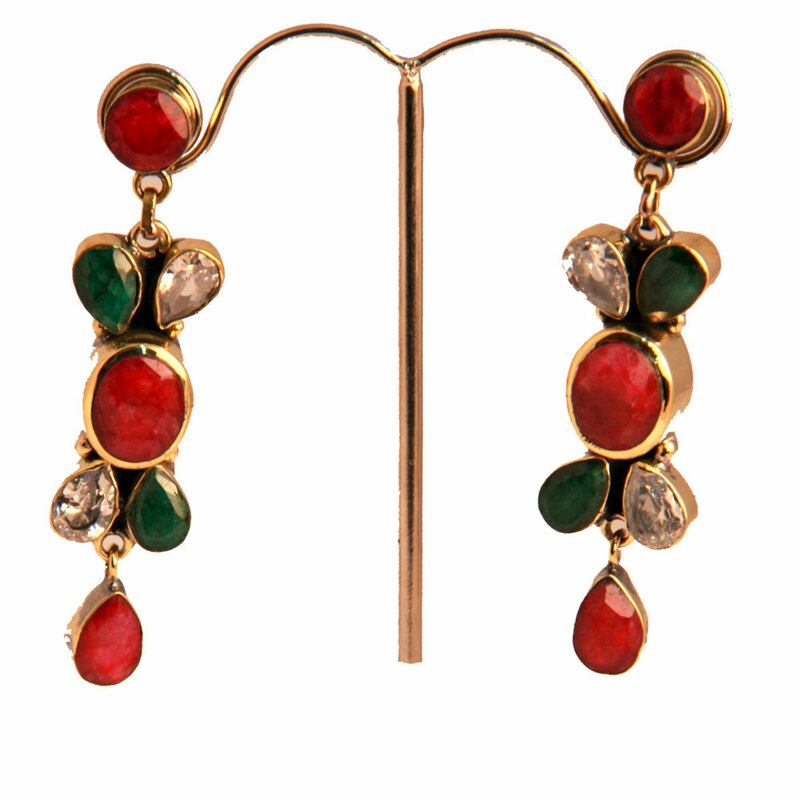 This pair earrings designed in the traditional jhumki style is set on the base metal of brass layered with micro gold. The jhumkis have been Read More..beautifully decorated with glittering Kundan beads of different colors and shapes and also feature a string of extremely small red rounded beads hanging at the end. Show Less..